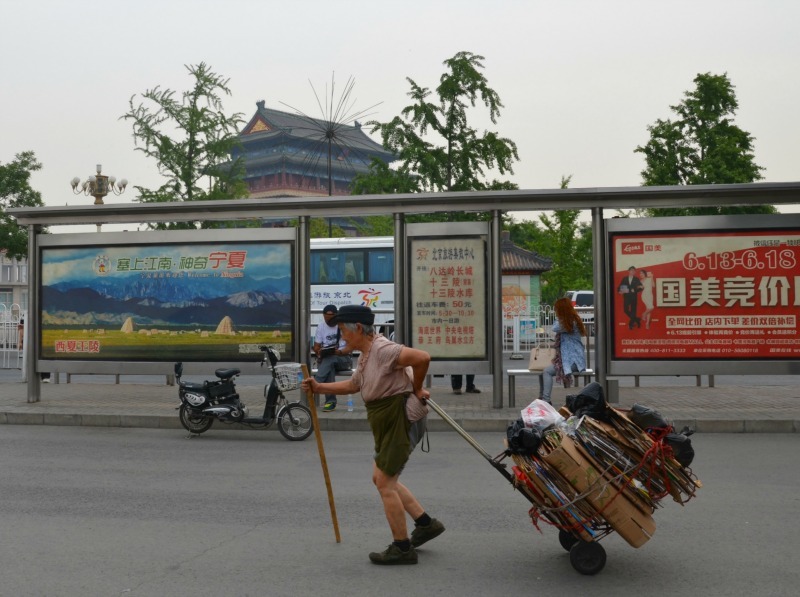 I loved the contrast of this senior, pulling a pile of boxes and bags, with the backdrop of modern advertising in Beijing. 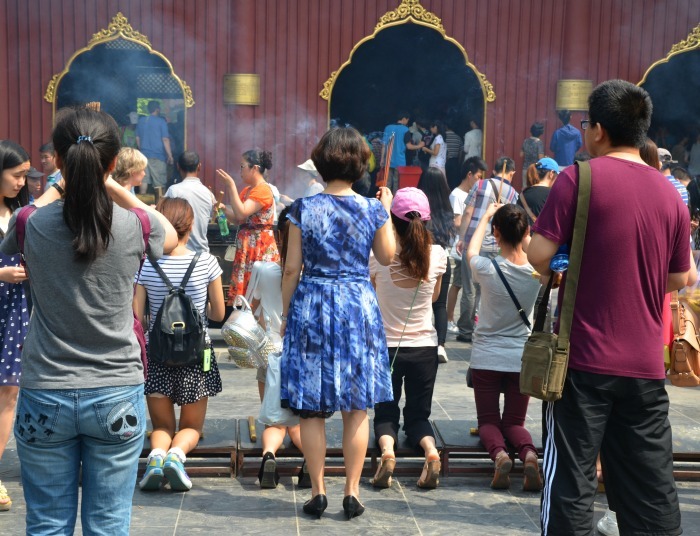 At Beijing’s Yonghegong Lama Temple, the devoted were focused on paying their respects, and I tried to capture their quiet moment among the crowds. 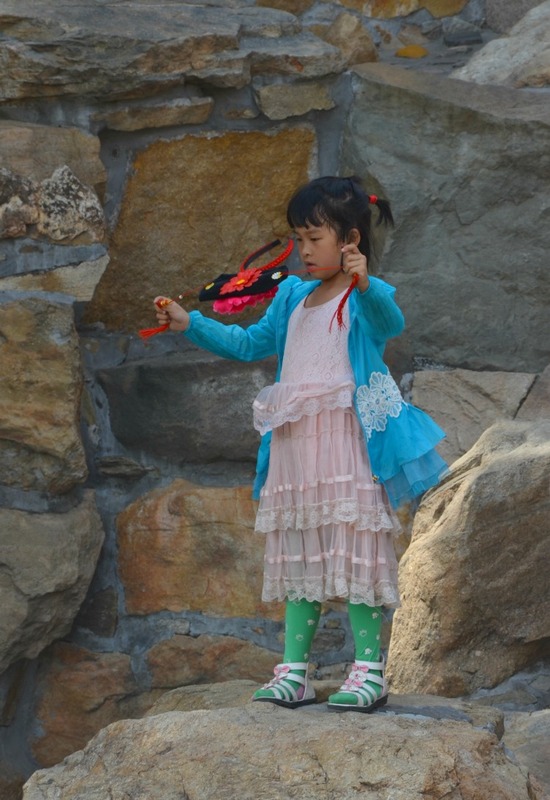 This little girl had found her own spot to play on the rocks of the Summer Palace’s Longevity Hill in Beijing. 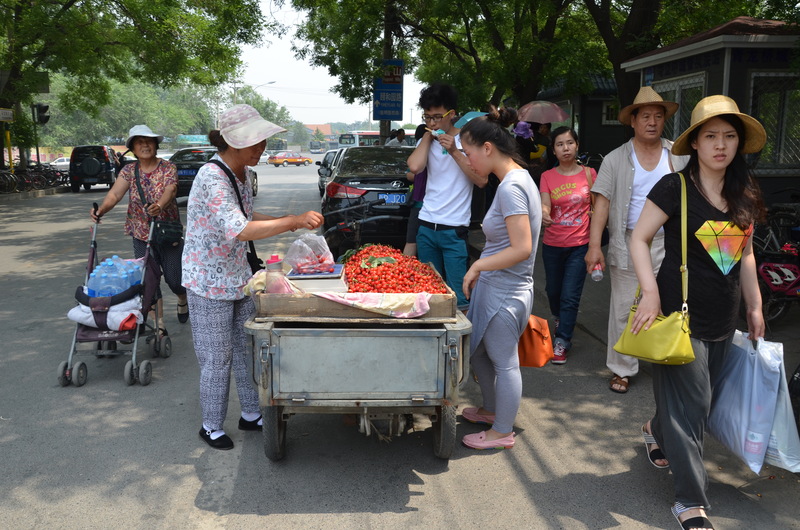 This lady was busy selling cherries near the metro station in Beijing, looking for buyers among the numerous shoppers. 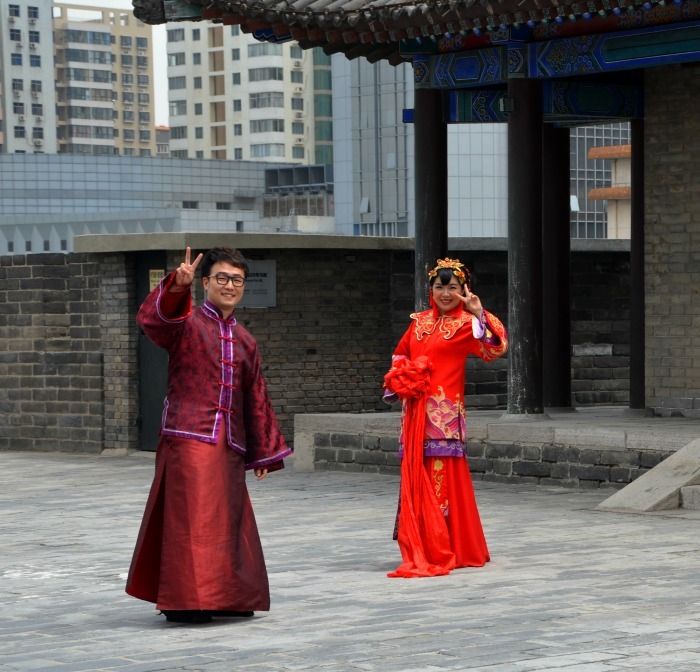 This was one of my favourites, as I noticed these two as part of a photo shoot on the wall in Xi’an – and they turned to give me the traditional peace sign – happy to be photographed by a western tourist. 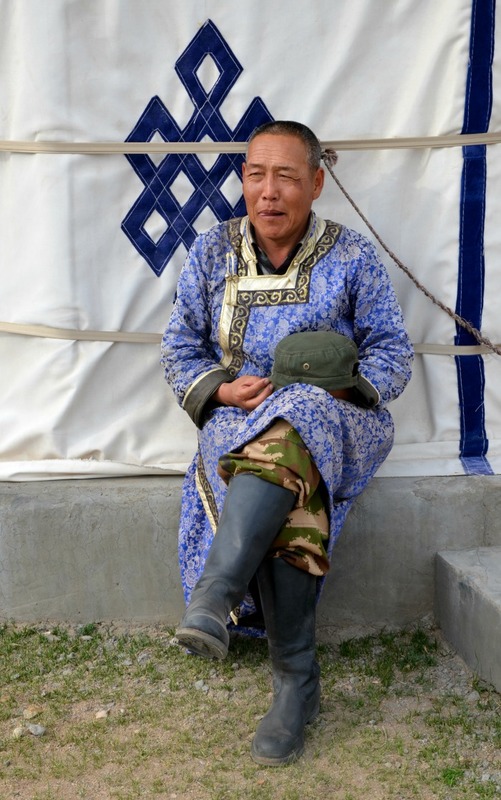 And I loved this gentleman – a farmer in Inner Mongolia, who was playing up his heritage for the tourists. But the twinkle in his eye made me realize that he knew what was going on and happily played the game.